Chinese martial arts is the most oldest of all martial arts and it is possible to trace its roots back more than 4,600 years. The earliest form of Chinese martial arts is those practised by soldiers for direct use in battlefield combat. Ancient legend states that weapons and hand-to-hand martial arts’ techniques were propagated by China’s Yellow Emperor. Before he rose to the imperial throne in 2698 BC, the Yellow Emperor had been a notable general and had already written at length on elevated subjects such as astrology, Chinese medicine and the Martial Arts. He developed a form of wrestling called Horn Butting (Jiao Di) where contestants wore horned helmets and attacked each other with their headgear. It is said that this same martial technique was employed on the battlefield, leading to victorious results. These arts included empty hand fighting, weaponry techniques and training methods. Despite common belief Chinese martial arts were not invented at the Shaolin temple. It’s believed that the Yellow Emperor (about 2700 B.C.) was the first to introduce the martial arts to Chinese culture. To understand the present and future, one must first have a clear understanding of the past. (According to legend, Chinese martial arts originated during the semi-mythical Xia Dynasty (夏朝) more than 4,600 years ago. It is said the Yellow Emperor Huangdi 黃帝 (legendary date of ascension 2698 B.C) introduced the earliest fighting systems to China. The Yellow Emperor is described as a famous general who, before becoming China’s leader, wrote lengthy treatises on medicine, astrology and the martial arts). It was the idea of Confucius (a famous Chinese scholar which had much influence on china’s culture – 500 B.C) to turn practicing martial arts into an everyday activity for the Chinese people and not only for soldiers and specific groups. The earliest evidence of martial art combat in the Shaolin monastery dates back to around 500 A.D. It was developed in order that the monks will be able to defend themselves against bandits. During the Republican Period (1912-1949) the Chinese martial arts were made more accessible to the public, and martial artists were encouraged to teach their arts as means of promoting national pride. When the People’s Republic of China (1949) was founded after the Chinese civil war, many martial artists fled and migrated outside of the republic from fear of prosecution. This led to the international spreading of the different styles. 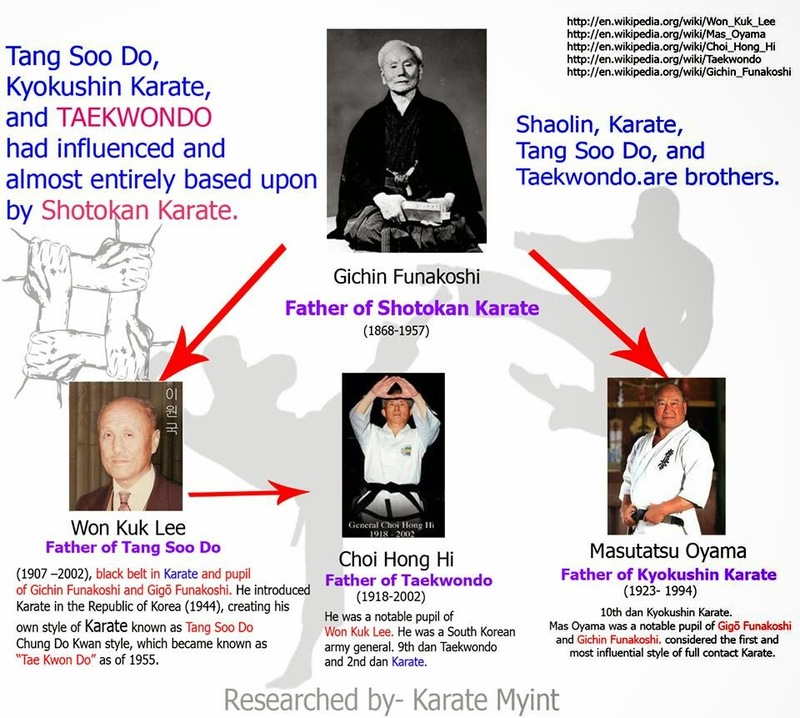 During the years there have been many attempts to re-legitimize the martial arts in the Chinese Republic, starting with the formation of the “sport” of Wushu as something disassociated with the martial arts and connected with national pride in 1958. The Chinese government has since the 1970’s taken on itself the rebuilding, and re-documentation of the Chinese martial arts that were lost or forgotten. It is very hard to try and generalize the Chinese culture so that one might try to understand the origins of its martial arts. 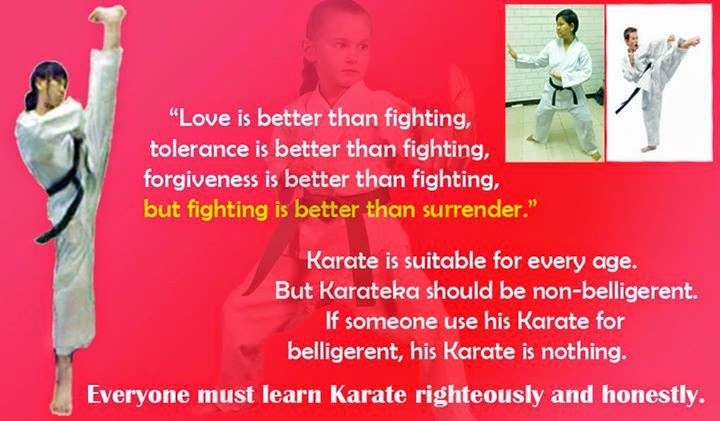 Due to Chinese religion, philosophy and tradition the martial arts are rarely looked upon as only fight oriented. China became the center of the all martial arts world since about 2700 B.C. The Master Bodhidharma was a South Indian of the Western Region. He was the third son of a great Indian king. Buddhist monk Bodhidharma (as known as Daruma in Japanese and known as DaMo in Chinese) arrived in China about 520 A.D. after a three year trip from India. Bodhidharma moved across the Yangtze River to the Shaolin Temple. (The Yangtze River (长江), Chang Jiang or the Yangzi known in China is the longest river in Asia and the third-longest in the world. Instead of residing in the temple hall, he took up residence in a cave in the middle of the Five Breasts Peaks. There he stayed facing the cave wall, meditating and studying for nine years. It was said that during this period Bodhidharma reached enlightenment and from it developed a new sect of Buddhism known as Chan in Chinese (Zen as in Japanese) Buddhism. The sixth Buddhist patriarch of China, Master Hui Neng, and others refined and documented Chan Buddhism so that it spread throughout China. Chan Buddhism eventually migrated to Japan and became known there as Zen Buddhism. However, many Chan Buddhism scholars believe the founders of Chan Buddhism are Huineng (636-713) and Shenhui (668-760). Many legendary stories depicted Bodhidharma starting early Shaolin exercises. In the beginning, Shaolin disciples spent long hours meditating and did sitting Qigong without much physical exercise. Eventually, they realized that to keep blood and Qi from stagnating, they needed moving Qigong exercise and other vigorous martial arts exercises to balance Yin and Yang energies. Day by day, year after year, the disciples practiced simple Qigong exercises, and other martial arts that were brought to the temple by new monks and monks like Seng Chou. In time, these evolved into the early forms of Shaolin Gongfu, also known as Shaolin Quan. These early forms included Luohan 18 Postures, Soft Boxing, 8 Silk Brocades, Longevity Boxing, Shaolin Luohan and others.With the spread of Chan Buddhism, more and more Shaolin branch temples were built throughout China. Shaolin Temple was the first institution established to teach Chan philosophy, medicine, arts of Gongfu and the way of Chan living. Bodhidharma traveled to the Shaolin (Japanese: Shorin) Temple on the Wu-tai mountain in Honan. To improve the monk’s physical and mental health, Bodhidharma devised and taught them a series of static and moving yoga-like exercises that are now usually called 18 Monks Boxing (called the Eighteen Arhat Hands (Shaolin Luohan 18 hands). He began to teach them the Chan (later Zen) method of seated meditation. Luohan quan (罗汉拳), which means "enlightened Buddhist kung fu", is a general name for all the styles of Chinese martial arts that are named after the Arhats. Luohan Style is the an oldest and the representative style of Shaolin kung fu, so that the name Luohan quan is sometimes considered an equal name for the whole vast system of Shaolin Temple martial arts. Several stories about Bodhidharma have become popular legends, which are still being used in the Ch'an and Zen tradition. (Chinese Martial Arts was already established in China with an extensive written and oral tradition when Bodhidharma arrived). Emperor Wu had built and supported many temples and was anxious to hear what Bodhidharma considered to be the central principle of Buddhism. (Emperor Wu of Liang (梁武帝) (464 AD–549 AD), personal name Xiao Yan (蕭衍), courtesy name Shuda (叔達), nickname Lian'er (練兒), was the founding emperor of the Liang Dynasty of Chinese history. he was Confucian in values, he embraced Buddhism as well. He himself was attracted to many Indian traditions. He banned the sacrifice of animals and was against execution. It was said that he received the Buddhist precepts during his reign, earning him the nickname The Bodhisattva Emperor).